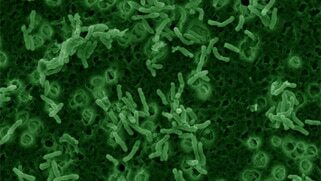 Veterans Affairs researchers want to know if an over-the-counter probiotic given to colicky babies could help patients with post-traumatic stress disorder and traumatic brain injury. VA staff in Denver have just begun to recruit 40 VA-eligible patients who have "mild TBI," or concussion, along with PTSD. Levels of inflammation, composition of gut bacteria, and quality of stress responses will be tracked, said Lisa Brenner, a psychologist and director of the VA Rocky Mountain Mental Illness Research and Education Clinical Center in Denver. A recent study of mice inspired the VA's project. Scientists at the University of Colorado Boulder consistently recorded favorable outcomes in inflammation and anxiety after injecting mice with Mycobacterium vaccae bacteria, said Christopher Lowry of the university's Department of Integrative Physiology. His past work has linked inflammation with psychiatric disorders. is sold for infants suspected of having a tummy ache and will be employed in the VA's experiment. Both lead researchers readily associate their ideas with the "hygiene hypothesis" — the notion that antibiotics and the urbanization of modern life have shifted our bodies’ bacterial balance, and not all for the better. The mouse study, published in the Proceedings of the National Academy of Sciences, was named one of the Brain & Behavior Research Foundation’s top 10 breakthroughs of 2016. It "showed we can prevent a PTSD-like syndrome in mice," Lowry said. 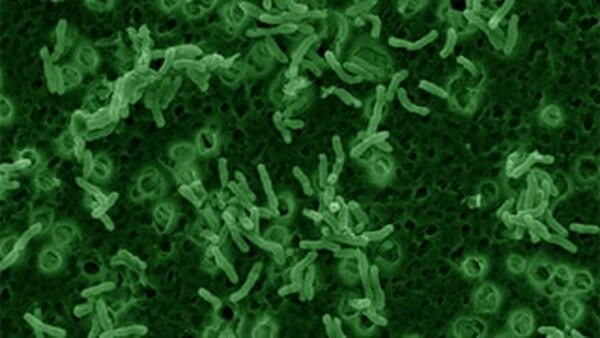 Mycobacterium vaccae showed promising results in mice.